Digital photography makes it so easy for beginners and casual picture-takers to enjoy this hobby and capture wonderful memories of family members, friends, pets, vacations, parties, etc. Compact, or point-and-shoot, cameras are affordable, plus there is no film to buy or pay to be processed and printed. Compact camera owners tend to shoot most of their photos in auto mode. All they have to do is “point and shoot” and the camera does the rest automatically. Some of the more adventurous may try aperture mode or shutter priority mode occasionally. If this describes your level of photography experience, then this PhotographyTalk.com article is for you. If you’re one of the adventurous few (and even fewer that actually read the camera’s manual), then you may have discovered that you can shoot what are called RAW images. You may have even tried this setting and were surprised to find you couldn’t view a RAW file on your computer. 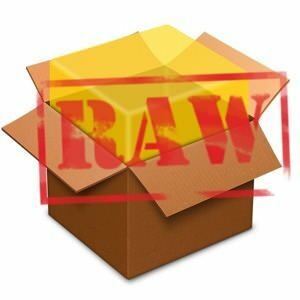 RAW files are, of course, raw, meaning your camera hasn’t processed them, as it does for JPEG files. RAW images are somewhat similar to an old film negative straight from the camera. The difference, however, is a RAW file only gathers luminance values for each pixel, which limits it to a grayscale record of the image. RAW files do include all of the information and data about an image, such as color, your camera and the settings at which you shot each picture. A RAW file must then be processed, using photo-editing software. Only then will it become a viewable photo on your computer. All digital photographers, whether they are shooting with compacts or DSLRs, will receive common benefits from RAW files. More control: RAW files include ALL the digitized information of each photo, so you can adjust white balance, exposure (to a certain extent) and other characteristics. No loss of data: When shooting JPEG images with your camera, some of the information is lost during the compression process. Color flexibility: RAW images are defined as “high-bit” files, or 16-bit (JPEGs are 8-bit files). This provides you with a much larger selection of colors if you want to make color corrections in editing software. Stored changes: The data of RAW files are not overwritten, so any changes you’ve made are stored, which you can then edit in photo-editing software. You can also duplicate those changes in similar digital photos. Avoid JPEG limitations: When you shoot JPEG images, they are corrected in the camera, which makes it difficult to make any additional corrections later on your computer. Another group of RAW file advantages are specifically helpful to beginner photographers with their point-and-shoot cameras. Noise control: Unlike most DSLR cameras, compact models (especially 8MP compacts) can produce too much digital noise. With RAW files, you’re able to remove much of that noise. Sharpening flexibility: Often, point-and-shoot cameras produce small halos at the edges of some photos because sharpness is set too high. This can be adjusted on some compact cameras. Even if yours does, it may be better to shoot RAW images, since that will give you more latitude to manipulate a picture’s sharpness with photo-editing software. Less detail loss: Some of the information that is lost during JPEG compression in a digital camera relates to picture detail. In a point-and-shoot camera, even more detail can be lost and the image made softer because of the camera’s built-in noise reduction. You may not be able to control this loss in your camera, but, by shooting RAW files, you can in software, and thus the level of detail. The one downside of shooting RAW images with your compact camera is that it takes more camera time than JPEGs. This can be particularly challenging if you are trying to shoot action, which is why RAW is better for still photos, such as portraits, landscapes, flowers, etc. For more information about RAW files, read the PhotographyTalk.com article, Digital Photography—Why You Should Be Shooting Raw Files.